Most of New Zealand’s 30,000 square kilometres of alpine terrain is in the South Island, where it extends from the mountains of north-west Nelson and Kaikōura along the Southern Alps to the mountains of Fiordland and Otago. 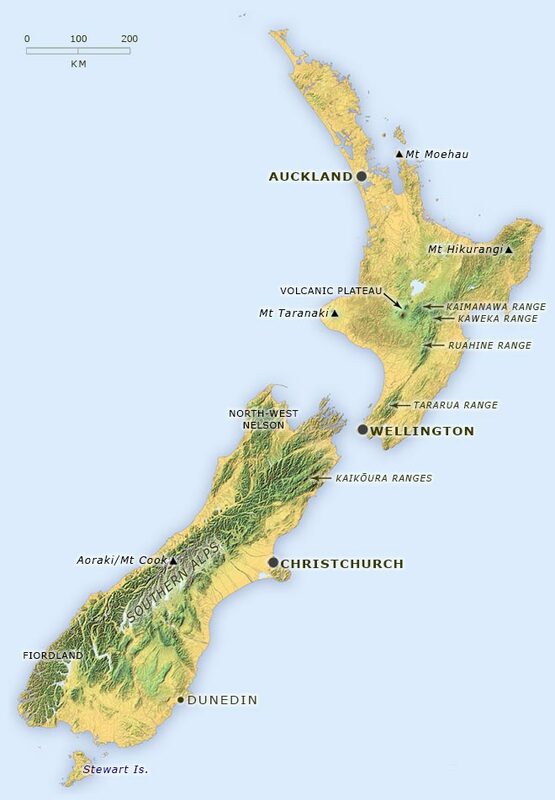 In the North Island alpine areas occur on the ranges between Mt Hikurangi and the Tararua Range, as well as on Mt Taranaki and the mountains of the Volcanic Plateau. Alpine areas also occur on Stewart Island. On very exposed, infertile sites, such as near the summit of Moehau mountain, some alpine plants grow at lower elevations and latitudes than would generally be predicted for alpine vegetation.